Upcycling is awesome! It’s creative, fun and because it saves things from the trash, it’s also a great eco-activity. This cool project will show you how to turn an old teapot into a super-cute bird feeder for all your local flying friends. The teapot lid is ideal for protecting the bird food from the weather, and the pot itself provides a perfect perch. If you have one gathering dust at home, that’s great. If not, local flea markets, vintage or charity shops are a great place to find one. 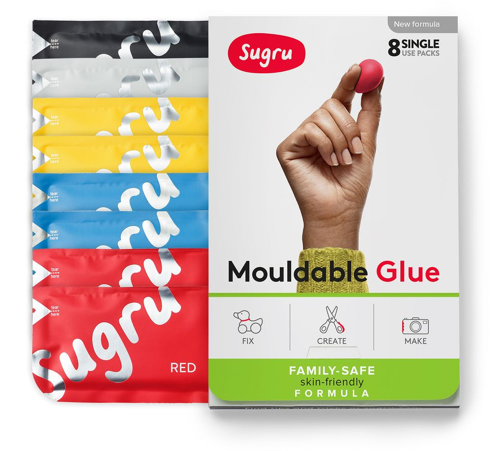 Choose the colour Sugru you want to use, tear open the pack and roll it into a ball ready to apply to your teapot. Apply the ball of Sugru onto the teapot lid (soon to be the bird feeder roof) and then gently mould into a cone shape. Press the Sugru on your teapot lid onto the teapot at an open angle. Press firmly and then smooth the Sugru out with your finger for the desired finish. Apply one or two strips of masking tape to hold the teapot lid in place for 24 hours while the Sugru cures. Once the Sugru has cured, there’s only one thing left to do, hang your cool new bird feeder outside and wait for your feathered friends to fly by. Want more brilliant environmentally-friendly fixing projects and ideas? Head to our eco-fixing inspiration page. Have you made your very own bird feeder with Sugru? Why not tweet (sorry we had to) about it? Or share it with us on Instagram, Facebook or Pinterest.